Spring is the time of year most associated with having a clear out in our homes, but we should also consider doing this in our bodies too at this time of year. Chinese medicine sees spring as a time best suited to detoxification when the energies of the body are strong enough to support the cleansing process – we are likely to be more receptive to it and find it easier to stick to because of this. 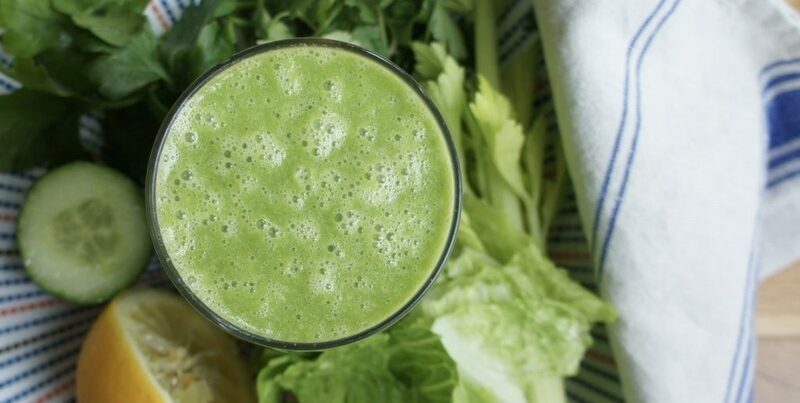 This green herb smoothie is a perfect detoxification aid to try now spring has arrived, packed with alkalising greens and some key herbs known to help rid the body of heavy metals and other toxins. The coconut water and lemon juice not only boost the cleansing properties of this smoothie, but they also help to lift the flavour and make it more enjoyable to drink. Why not try drinking one of these smoothies every day for a few weeks, and then whenever you fancy it thereafter. Put all ingredients into a high-speed blender, and whizz until completely smooth.